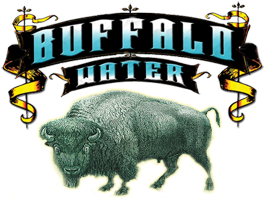 With the average American Bison drinking between 10 to 12 gallons of water daily, one would imagine the great beast must pee quite a lot! With this in mind, the Buffalo Water Beer Company’s artwork reenacts the buffalo’s urination abilities with a strand of golden urine seen embodying the Bison Blonde text. As is the trend with the modern craft brewers, the Buffalo Water Beer Company isn’t shy when it comes to expressing itself.